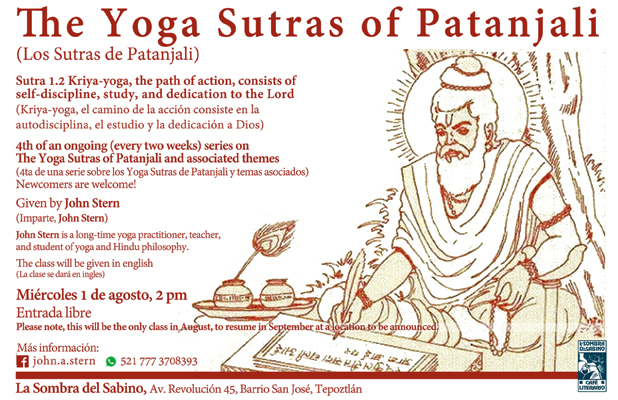 4th of an ongoing (every two weeks) series on The Yoga Sutras of Patanjali and associated themes. Kriya-yoga, given by John Stern. and student of yoga and Hindu philosophy.